Movie that has to be mentioned here is Slither, released just two years earlier and featuring a similar story but with a much funnier outlook. 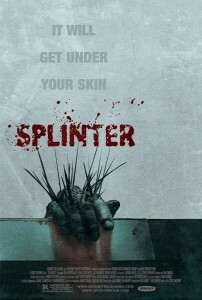 Splinter is more menacing, especially towards the end. 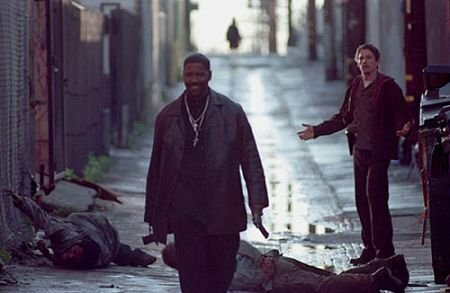 This is where Shea Whigham shines as Dennis Farell, criminal who’s looking just trying to stay alive. With a cast that consists of four main characters, it’s odd to say that all of them were good, but that’s just the truth. On a personal note, I just love those movies where our characters are forced into one building and then attacked by some creepy monster. Here, the monster is not some CGI atrocity, but a “real” thing, done mostly with practical effects giving it this old school look, reminiscent of The Thing. Finally, I am sincerely hoping that this wobbly camera thing will fade away in the next few years. I think this started with The Blair Witch Project, but whenever it was, it was enough. Here, the movements are not that erratic, so you can actually focus on what’s going on on the screen, but the wobble is still noticeable. Fun Stuff: One more of the gas station/convenient store defenders movie. Very little usage of CGI.